It may be the school holidays for some of us, but we’ve recently completed some menu designs for Repton School’s 2012 Leavers Ball. Repton School is one of the most exclusive schools in the UK and offer Education and Boarding or Day-Schooling from ages 13-18 years. 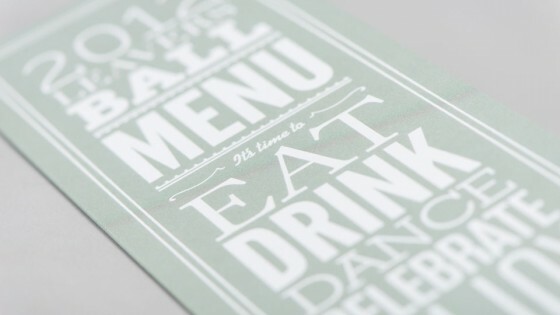 The design style is striking and typographically contemporary. It is printed onto GF Smith Zen, a beautiful sheet that handles both block colour and photography with aplomb giving a tactile yet traditional feel that is unusual for an uncoated paper. We are hoping to continue working closely with Repton School in the future, so keep an eye out for project updates on the Portfolio section of our website.